The fragrance mainly revolves around movement, dance and music. 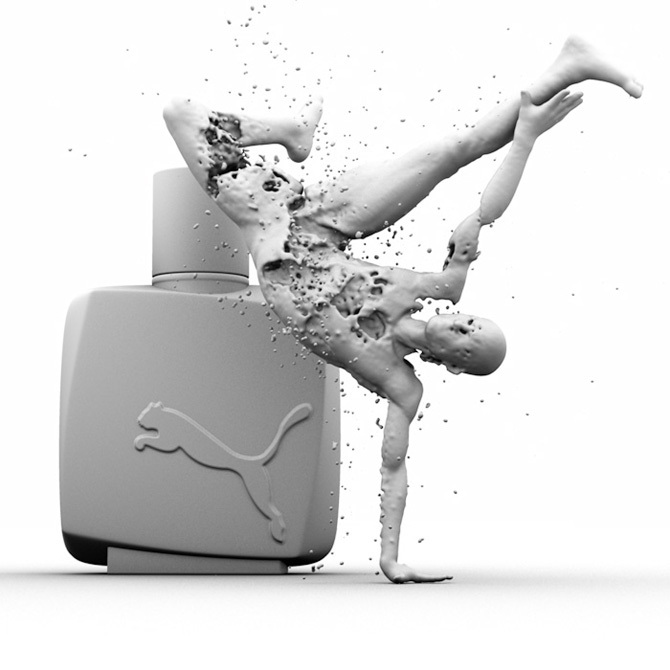 Viaframe visualized Urban Motion using a break-dancer made of perfume, placed in front of a perfume flask, that was also created using 3d software. 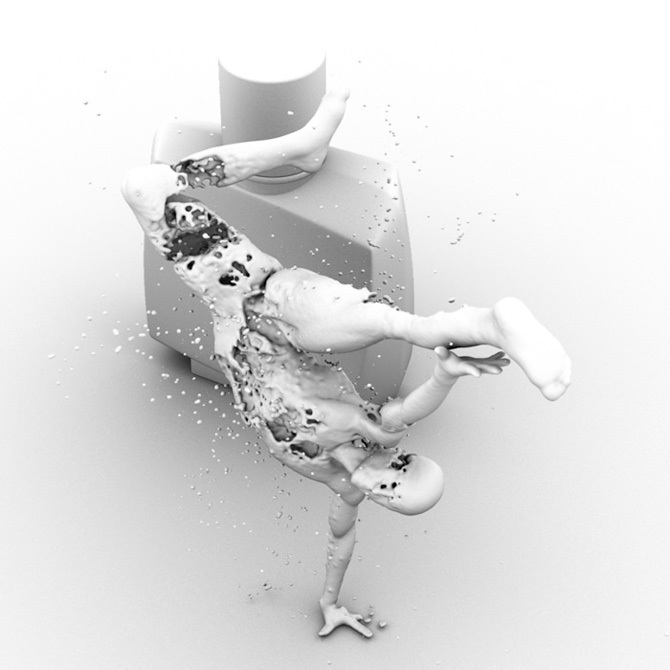 The break-dancer as well as the perfume flask are computer generated elements of the image. A special 3D software was used for visualizing the liquid, which simulates the physical properties of water.